retro games 100 wrote: There's a grammatical error on the LAPC-I box. Mistake's such as this one are quite common. Supposed to be PCs , not "PC'S". Kreshna Aryaguna Nurzaman wrote: PPS: and yes, one of my ex-gf said I'm an obsessive-compulsive nutcase. You and some of us,brother! We all are! What, she left you for the same reason my ex-gf did? Errr...not the gf part..the obsessive-compulsive-over-vintage-pc-thingy part. Come to think of it, I'm obsessive-compulsive over anything. Ah, back to the MIDI topic, has anyone tried Roland D-50/D-110 module for MT-32 games? Maybe I'm mistaken, but isn't MT-32 based on D-50? I wonder if the latter would sound better. Kreshna Aryaguna Nurzaman wrote: Ah, back to the MIDI topic, has anyone tried Roland D-50/D-110 module for MT-32 games? Maybe I'm mistaken, but isn't MT-32 based on D-50? I wonder if the latter would sound better. The sound is much more full, and warmer then the MT-32. Even still, the MT-32's custom patches don't interface the best with the D-50, making for a difficult conversion. if you're a musician and you're interested in LA synthesis, get the D-110, as it's a very nice module and better in specs and sound than the MT-32. If you're a gamer and want it to play MT-32 compatible games, don't get it, as it wouldn't be of much use unless you know very well how to reprogram it and take a long time doing so. That pretty much sums it up, I guess. Things being said, I really don't mind if a game music sounds different than what it is intended to, as long as it sounds better. For instance, I don't mind using Yamaha XG for games composed for Roland GS if the resulting sound is better --and they do sometimes, especially in games with "techno" soundtrack like System Shock. Yamaha has better percussion IMHO. However, things are more complicated in MT-32 games... Games like Ultima VII and Wing Command use the synth for sound effects, and it seems the sound effects will sound odd when using D-50. Kreshna Aryaguna Nurzaman wrote: Other flightsim titles like Jane's USAF and European Air War also won't run on Windows XP without enthusiast-made patches. To me, it seems my solution is to build the "hottest" rig that still supports Windows 98. GeForce 6800 is the latest GeForce that supports Windows 98, so there it goes. I think those who are not into flightsims don't really need to resort to my "desperate" solution. 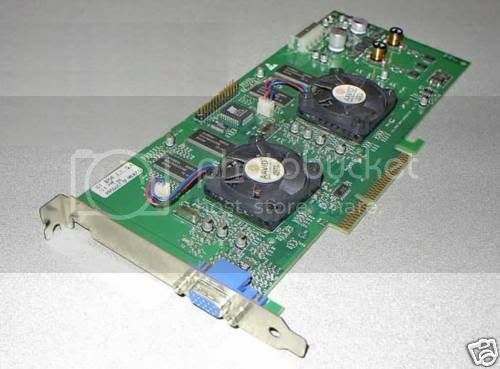 For "general purpose" Windows 98 games, I think 440BX and Voodoo cards would do just fine. I missed that one too! We both arrived at the same solution to the same problem. I still have to try European Air War on the V5. But I refuse to build a PC for just one game. So EAW for now will have to settle for a V5. The ultimate Win98 PC is currently turned into an XP Pro with GF7900 and serves as emergency LAN party reinforcement. Once it is too old for that, it will do Win98 duty. With an XP-M, you can clock it down as low as 300 MHz, which should help Longbow2. has anyone tried usaf on vista or win7 ? ux-3 wrote: But I refuse to build a PC for just one game. Actually, the P4+GeForce 6800 is not only for one game, but for demanding Win98 games (especially flightsims) like Jane's F/A-18. Early Windows 98 games should go to the BX system. Does GF7900 run stable on Windows 98? It is a driver hack, isn't it? ux-3 wrote: With an XP-M, you can clock it down as low as 300 MHz, which should help Longbow2. 300 MHz? What mobo are you using? Care to share the specs? 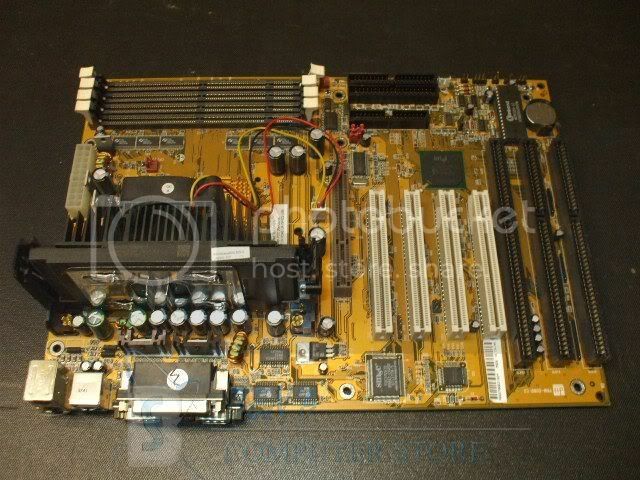 Just got another DTK PRM-00801 --a 440BX mobo with three ISA slots. It makes my third. Heh, I prefer to have a couple spares myself, except that I prefer to have 5 instead of 3. On some occasions I prefer to have as many spares as I can get away with. Those boards are worth $25 now?? If thats the case, I'm sitting on a small goldmine. I got atleast 8 Chaintech 6BTM's which also have 3 ISA, 4 DIMM's and atleast some support coppermines. I got them in a funny way. about 2 years ago (we were repairing/rebuilding computers for handicapped people with no money)we were gifted a whole lot of old computers, mainly with the chaintechs and also a lot of asus a7v's and a7v133's. At some point my boss basically told me "Either you take home all these old slow and useless slot 1 mobo's or they'll end up in the bin". Mind you, I purchased the mobo with "buy now" option. Were it offered in an auction, the final price would have been lower. I think I was just impatient. Tetrium wrote: At some point my boss basically told me "Either you take home all these old slow and useless slot 1 mobo's or they'll end up in the bin". "Either you take home all these old slow and useless Voodoo5 5500 video cards or they'll end up in the bin." "Either you take home all these outdated, gameport-using Thrustmaster F-16 FLCS/TQS/pedals or they'll end up in the bin." "Either you take home all these old, ISA Yamaha SW60XG MIDI cards or they'll end up in the bin." "Either you take home all these outdated DOS games or they'll end up in the bin." Now that would be heaven. Got my third Voodoo5 5500 AGP yesterday. Kreshna Aryaguna Nurzaman wrote: Got my third Voodoo5 5500 AGP yesterday. Hey, I have 2 5500s I'm willing to sell if your shelling out 75 bucks a pop for them. I also have two sealed V2 1000 PCI, I'll tale 100 each for both of those. You bought it to have another backup card or you plan putting your V5500 in a frame for pure display? There was also a Voodoo 5 5000 on sale the other day. Picked up a 6800GT for building a win98 comp, nabbed it for only $26 shipped. AGP and VGA out is retro right? F2bnp wrote: There was also a Voodoo 5 5000 on sale the other day. Slot 1 --> Socket 8 adapter? I have that HIS 4670. It's nice and quiet, until the bearings start to wear after about a year, and then it'll make some noise occasionally. 4670s are exceptionally low power when idle. I broke both of my GeForce FX cards (well one died of crappy construction) so I need to go shopping for those because I feel empty without one of those worthless cards in my possession! Last edited by swaaye on 2010-6-13 @ 20:15, edited 1 time in total.